SAN FRANCISCO (KGO) -- ABC7 is proud to celebrate Pride Month in San Francisco and to be a part of the annual Pride Parade in San Francisco. Click here for a look at how we celebrate the achievements of the LGBTQ community #whereyoulive. You'll find full information about the 2017 Pride events in SF below. Play N' Slay: 3 p.m. to 6 p.m.: Click here for more details. Trans March: 4 p.m. to 6 p.m.: Click here for details and click here for traffic and transit information. Pink Triangle Assembly: 7 a.m. to 10 a.m.: Click here for details. Dyke March: The rally begins at 11 a.m. and the march begins at 5 p.m. Click here for details on the event. Click here for traffic and transit information. Pride Celebration: 12 p.m. to 6 p.m.: Takes place at Civic Center Plaza. Click here for traffic and transit information. Pride Parade: 10:30 a.m. to 3:30 p.m.: Takes place on Market Street from Beale to 8th streets. Click here for traffic and transit information. 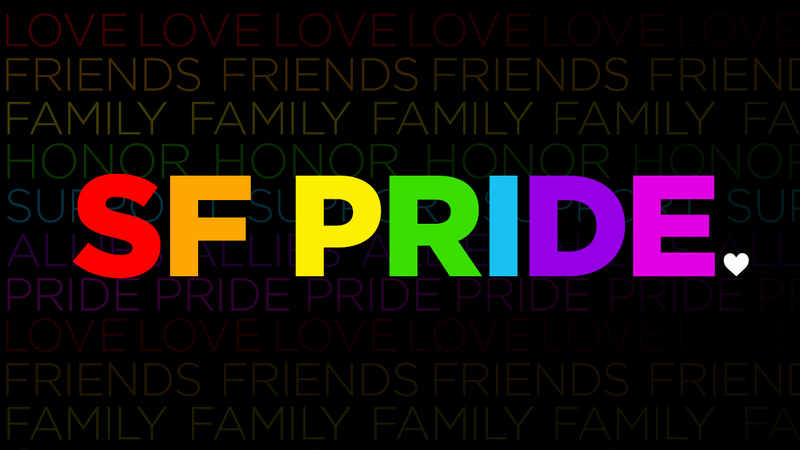 Pride Celebration: 11 a.m. to 6 p.m. Takes place at Civic Center Plaza. Click here for traffic and transit information. Under The Rotunda: The Official San Francisco VIP Party at City Hall takes place from 2 p.m. to 5 p.m. Click here for ticket information. The San Francisco Police Department is dedicated to making this year's Pride Week safe and enjoyable. Click here for a look at the security measures they'll be taking for this year's Pride Festival.